one of my favorite things about the holidays are the appetizers. i am not a big fan of the big meals or even the desserts. it’s all about the appetizers for me. i gladly volunteer to bring my favorites to all the gathering we attend. 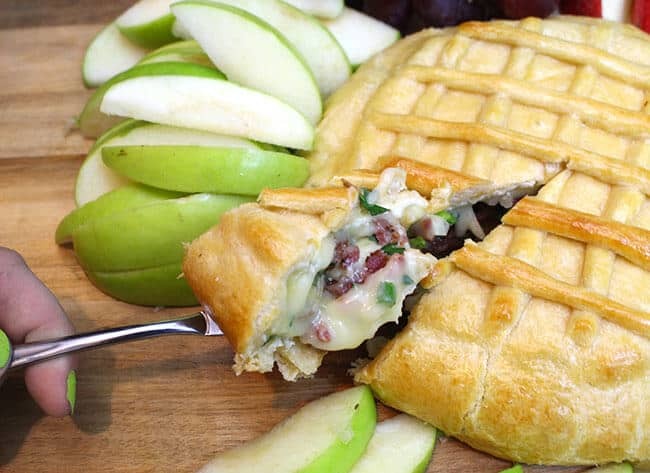 one of my go-to dishes is a Bacon and Almond Stuffed Baked Brie. 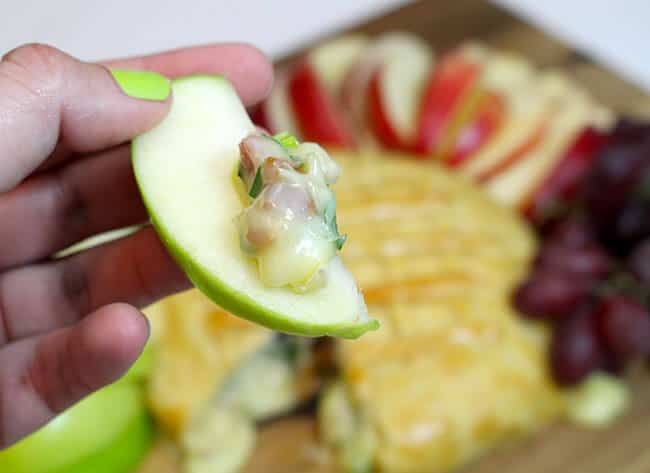 besides loving the creamy brie cheese, it’s a savory appetizer that goes great with apple slices, crackers, and even by itself. it’s also easy to make, the brie is wrapped with Pillsbury Crescents®. 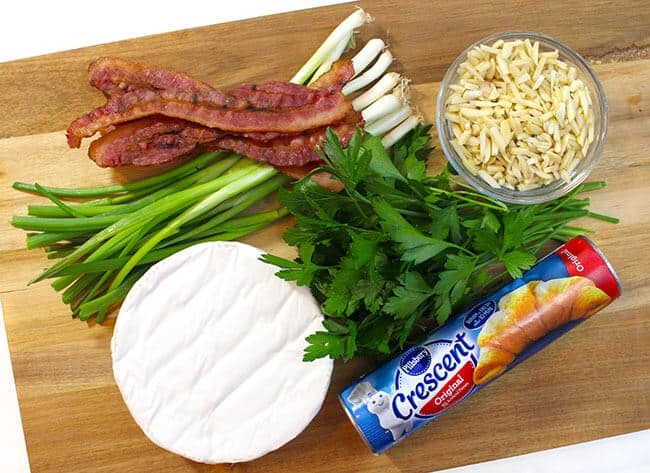 to make Bacon and Almond Baked Brie you need: Pillsbury Crescents® which are available at Walmart, brie cheese, bacon, sliced almonds, and parsley. optional ingredients are green onions and an egg, but i highly suggest using them. start by making the bacon almond mixture. 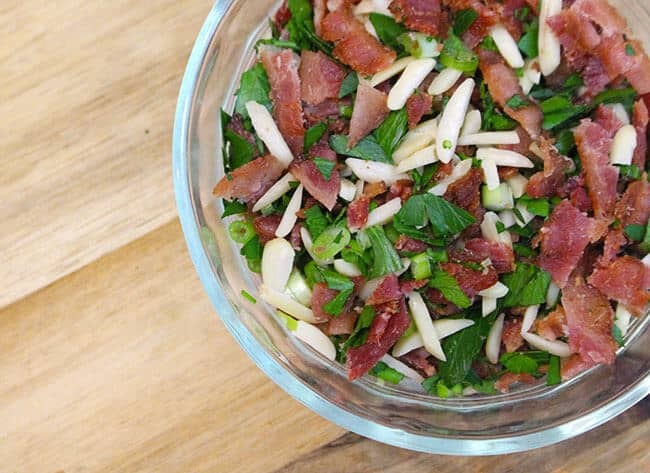 chop the bacon, almonds, onions, and parsley. then combine them all together in a small bowl. set aside. 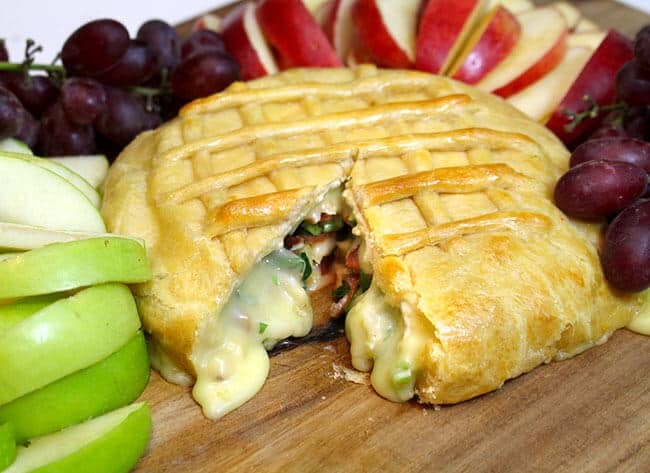 now, cut the brie in half creating two rounds. 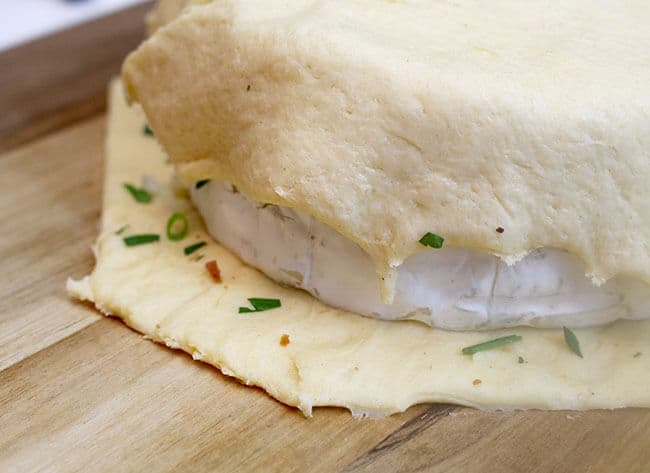 press all the seams together to create a single square of dough. 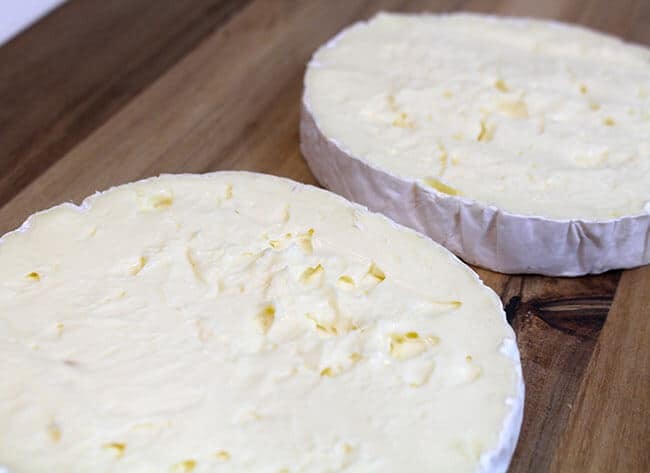 then place the bottom round of brie on top of it. stack bacon almond mixture on top of the brie. 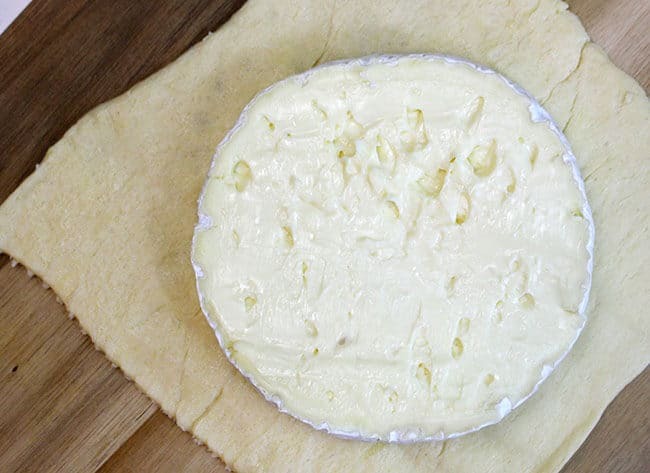 top with the other piece of brie, and then the other half of the dough. make sure all the seams have been pressed together. 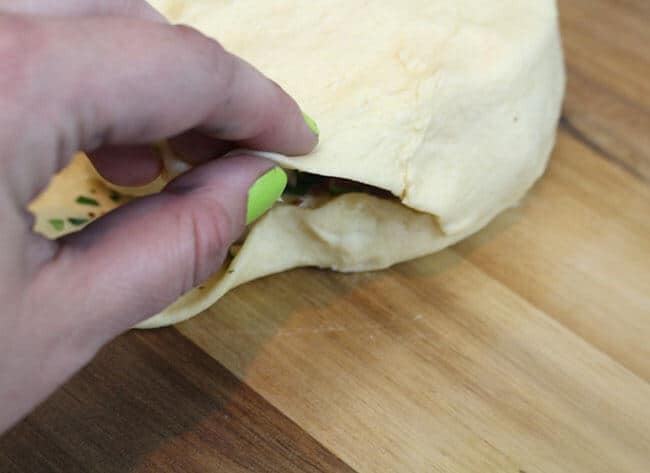 fold the bottom layer of crescent roll dough up towards the top, and then fold the top dough down over the bottom dough. press all the seams together really well. you don’t want any holes or the cheese will melt out. 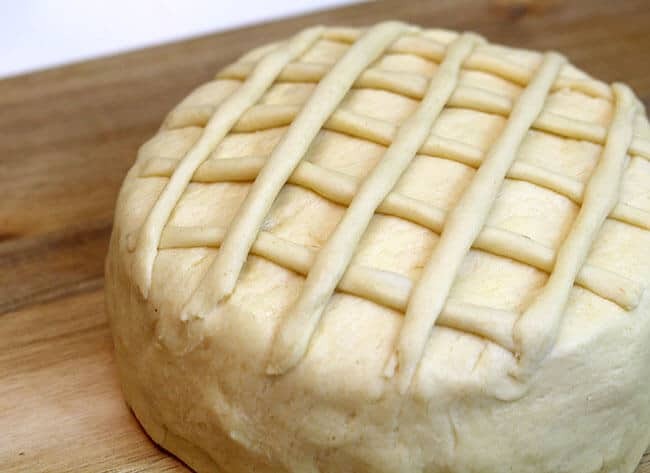 if you would like, create a design with the dough that you trimmed off. i thought a criss-cross pattern would be nice, but you could also make some leaves or leave plain. place onto a cooking sheet and into a preheated 400ºF oven. bake 20 to 24 minutes or until golden brown. too long will make the cheese collapse. but if it does, it is still yummy. cool 15 minutes. 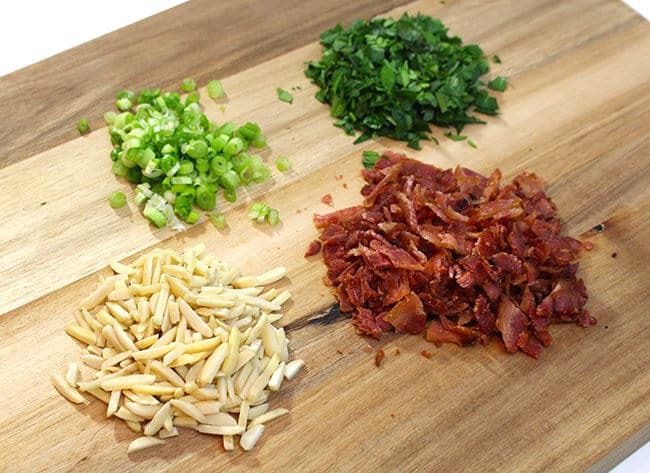 chop bacon, almonds, green onions and parsley. in a bowl, combine them. 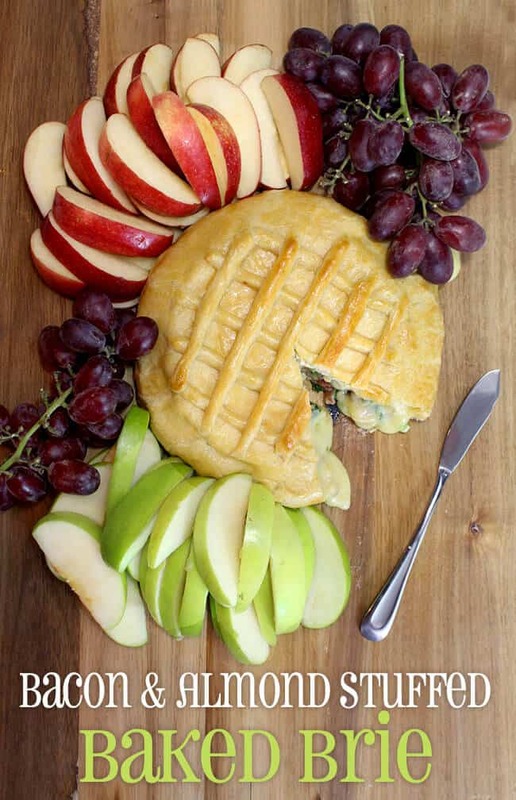 cut brie wheel in half to make two rounds, if using crescent rolls: unroll dough; separate crosswise into 2 sections. pat dough and firmly press perforations to seal, forming 2 squares. 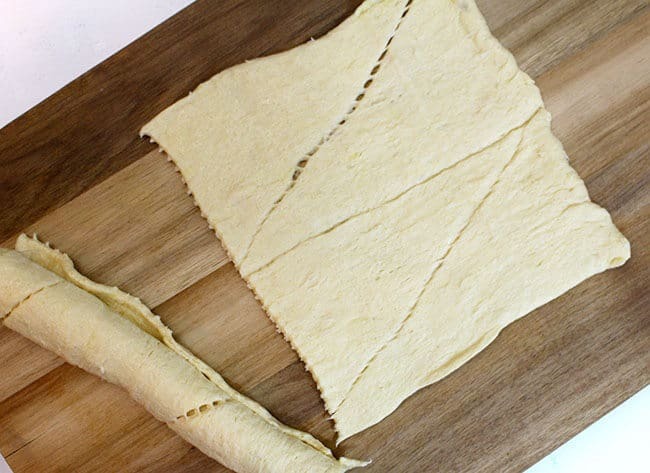 If using dough sheet: Unroll dough; cut crosswise into 2 rectangles. pat dough to form 2 squares. place 1 square on ungreased cookie sheet. 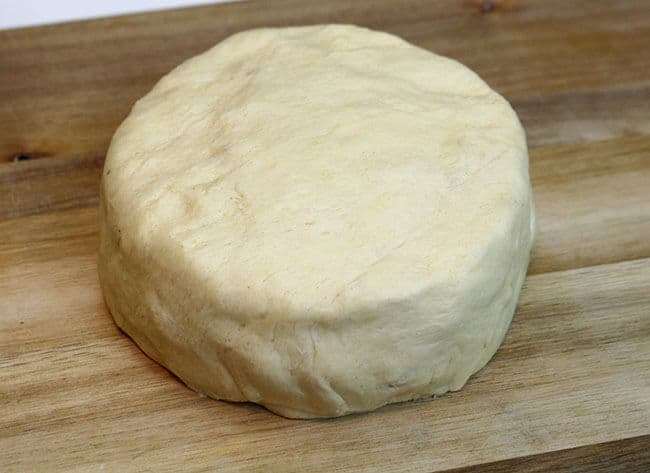 place bottom cheese round on center of dough. top bottom cheese round with bacon mixture, and place remaining cheese round on top. 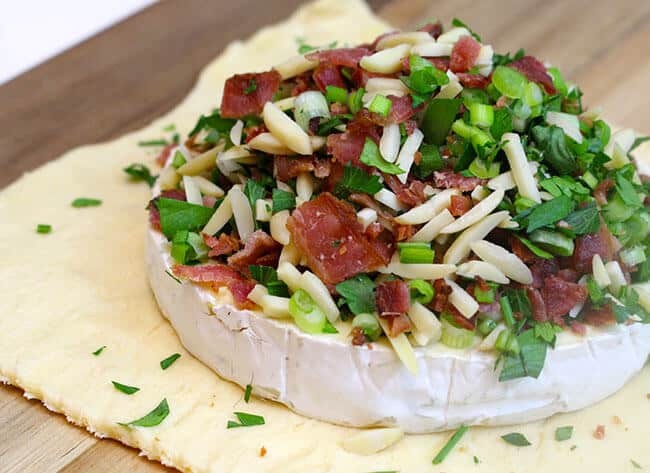 (if you are using a smaller brie wheel, use less bacon mixture). 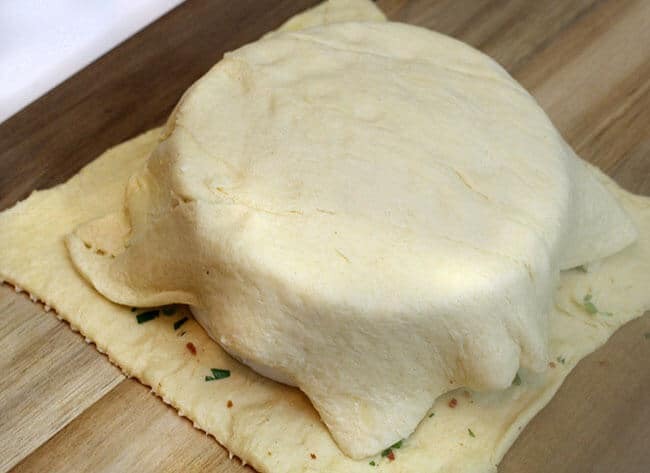 place remaining dough square on top of cheese round. 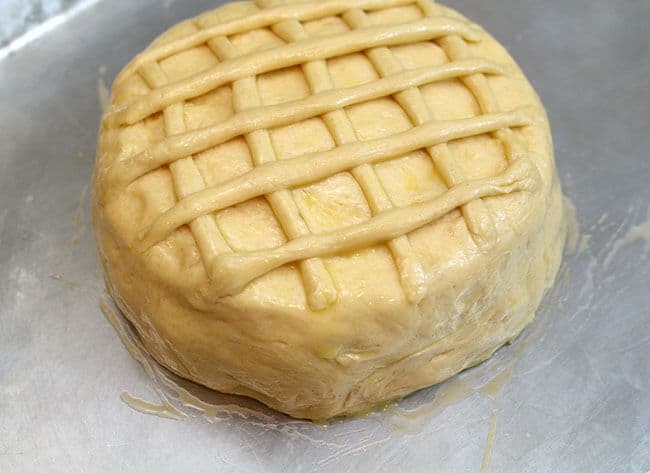 press dough evenly around cheese; fold bottom edges over top edges. 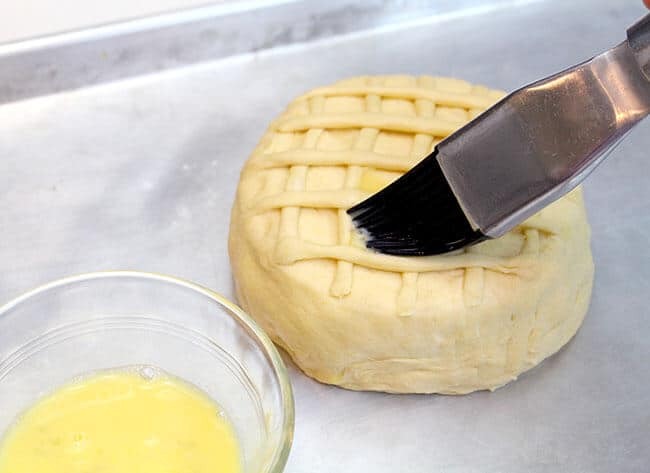 gently stretch dough evenly around cheese; press to seal completely. brush with beaten egg. top with cutouts; brush with additional beaten egg. bake 20 to 24 minutes or until golden brown. 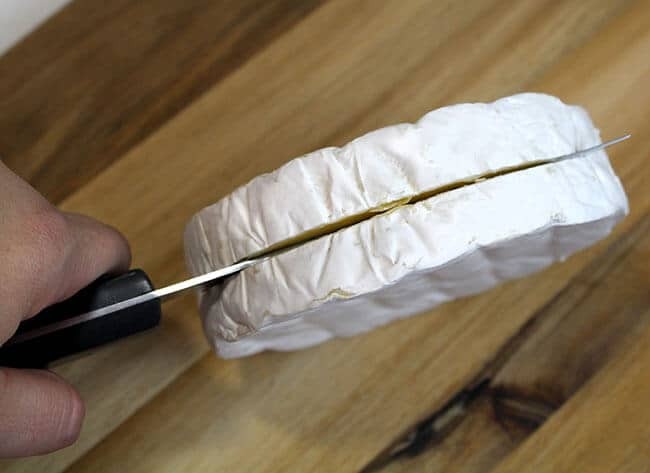 too long will make the cheese collapse. but if it does, it is still yummy. cool 15 minutes. 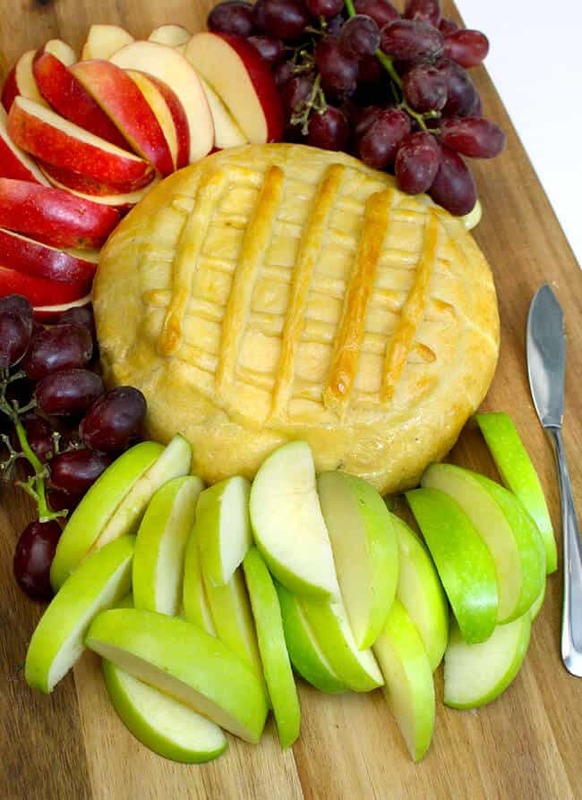 serve warm with crackers and apple slices. Swim Season is Almost Here. summer is practically here, and with the recent warm weather here in Southern California, all my kids have been begging to go swimming. however, my youngest boy, Vann doesn’t know how to swim yet. he just turned 3 this month. so when i was asked to be an ambassador for the SwimWays-Swim Steps Swim Team, i was really excited. 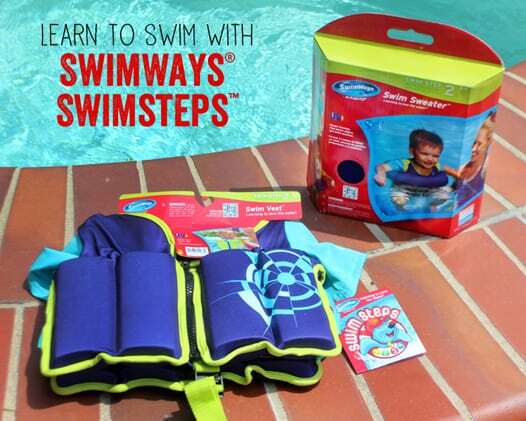 SwimWays has a line of swim training products that help parents and swim instructors teach kids how to swim. from arm floaties to swim vests to goggles and kick boards, there are many different products to aid in teaching your child to swim. something you probably didn’t know about me is, that i was a swim instructor for 10 years before i had kids. however, sometimes it is not easy to teach your own children how to swim. they much rather play with you and have fun…which is probably how it should be. 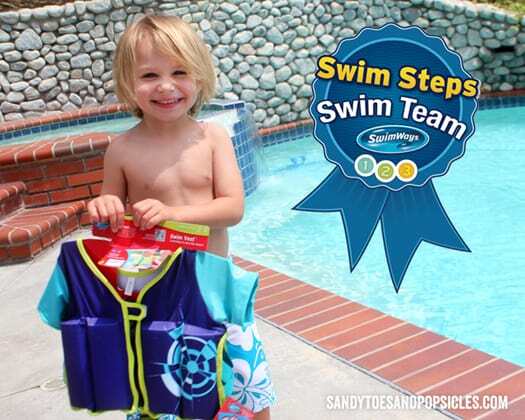 i am hoping by using the SwimWays products while playing in the pool, along with tips on the teach-me-to-swim website, i will have this little guy swimming by the end of summer. we will be starting off by using the SwimWays Swim Sweater to get used to the water, and the the SwimWays Swim Vest with foam inserts to help balance and support kids while they are swimming. i will be reporting updates on my little guys progress and i am excited to see how he does. you can purchase your own SwimWays® products online. use this SwimWays coupon for a discount. 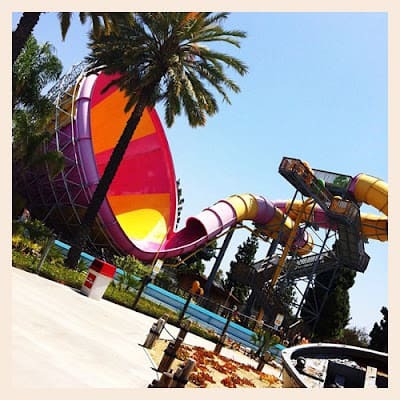 the weather is getting hotter here in Orange County, which only means it’s time to go to fun places like Knott’s Soak City Water Park!!!! 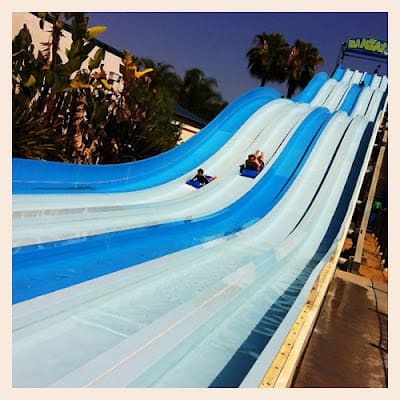 and you don’t have to wait much longer because Soak City is open all summer long! our family makes Soak City a tradition every year and we go every chance we can get. 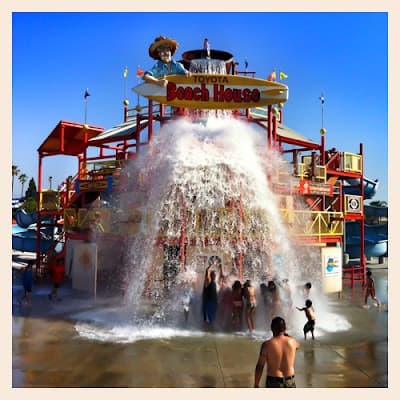 in fact, Knott’s Soak City is one of my favorite things to do with kids in Southern California. 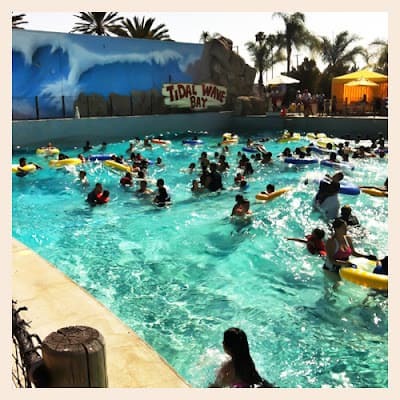 what’s more fun than enjoying a fun filled day of waterslides, water play, family time & fun in the OC sun. there is something for everyone to do. and if you are daring, the Pacific Plunge….yikes! and your littles can play in the Gremmie Lagoon, made just for kiddies under 54″ tall. all of my kiddies loved playing at the Beach House. every couple minutes a gazillion gallons of water pours onto everyone. 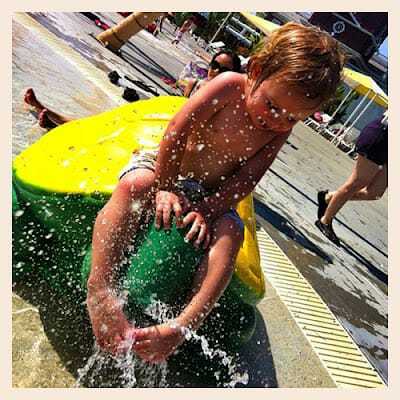 there are water cannons, waterslides and water features to explore and interact with. 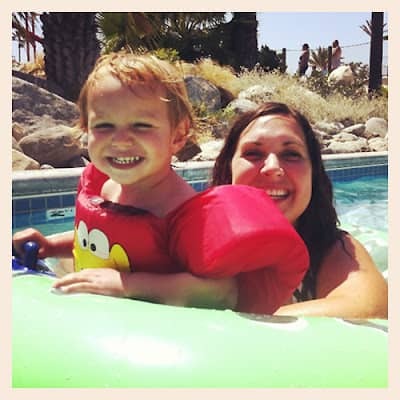 and me…my favorite is the Lazy River. just my pace, nice and chill. 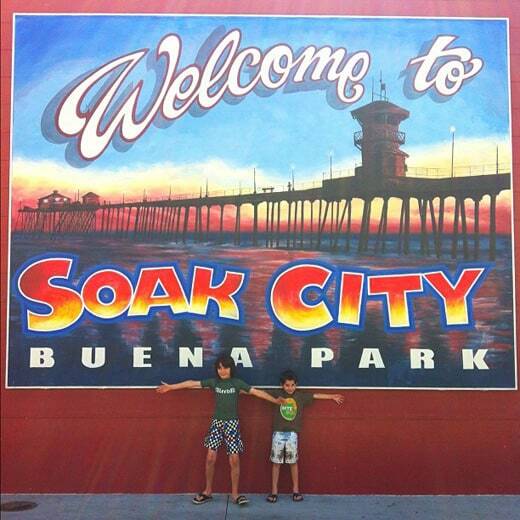 when planning your day at Soak City, make buy your tickets online to get the best price, and make sure to bring towels. you can rent one a family sized cabanas, perfect if you need to get out of the sun. outside food is permitted, and Soak City also offers great food and beverages at their snack bars. 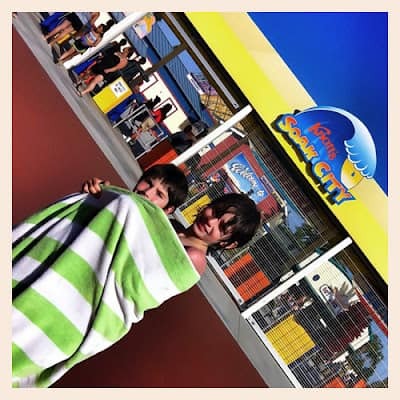 i love Knott’s Soak City because it is really clean, the life guards were very attentive to the water and i don’t have complaints from any of my kiddies the entire day because it is so fun! wanna head over to Soak City this summer? it’s open all summer. don’t forget your sunscreen….you will need it. 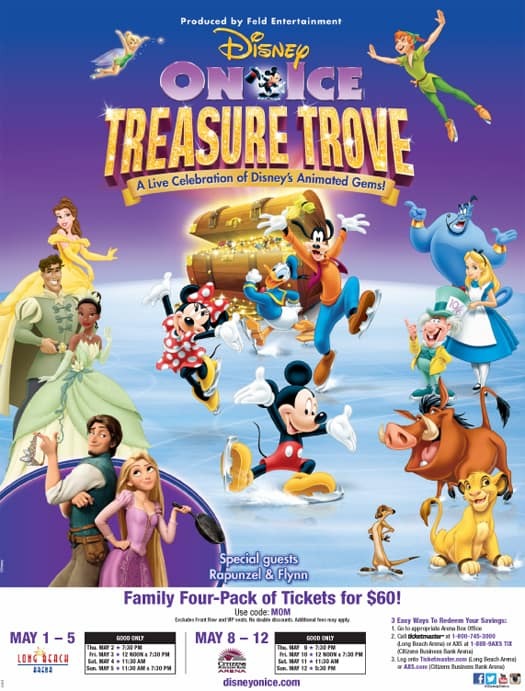 if you haven’t got you tickets yet for Disney On Ice presents Treasure Trove, it’s not too late! use coupon code MOM for a discount. this show has all your favorites from Pater Pan, Alice and Wonderland to the Lion King. the show runs from May 1st – May 12th, 2013.
have you been tutu bombed? tutus are popping up all over Orange County in celebration of the award winning Billy Elliot the Musical opening at the Segerstrom Center for the Arts tonight! 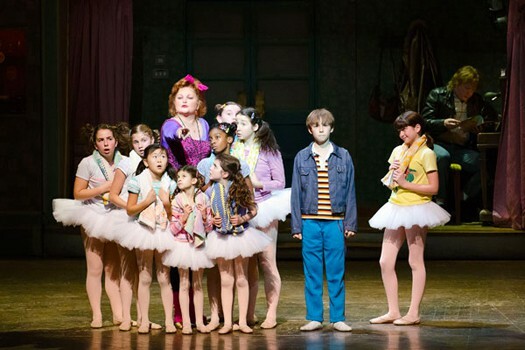 from April 16 – 28, 2013, OC audiences can enjoy this favorite musical based on the international smash – hit film Billy Elliot. featuring music by Elton John, book and lyrics by Lee Hall, choreography by Peter Darling and direction by Stephen Daldry, Billy Elliot the Musical has earned critical acclaim around the world and was the winner of ten 2009 Tony Awards including Best Musical. Billy Elliot the Musical is the joyous celebration of one boy’s journey to make his dreams come true. Set in a small town, the story follows Billy as he stumbles out of the boxing ring and into a ballet class, discovering a surprising talent that inspires his family and his whole community and changes his life forever. tuesday – friday • 7:30 p.m.
saturdays • 2:00 and 7:30 p.m.
sundays • 1:00 and 6:30 p.m.